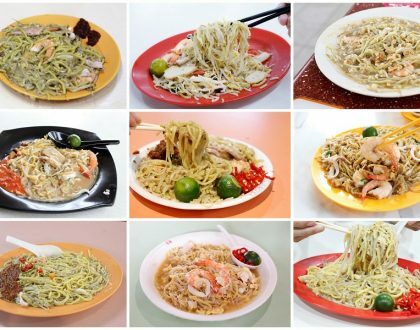 Come to People’s Park Food Centre during the weekends and you may be in for a shock. 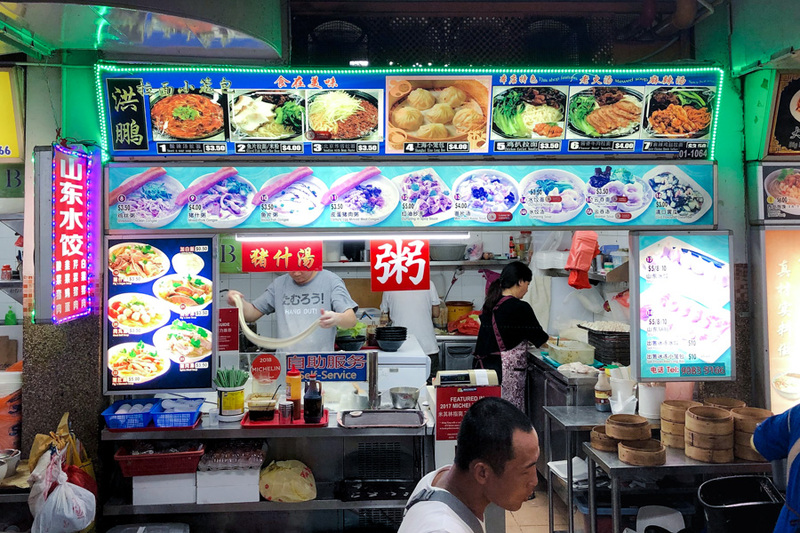 The hawker centre gets ridiculously packed packed packed, as customers go for staples of classic Sichuan dishes, Chongqing Grilled Fish (kao yu), dumplings, hand-pulled La Mian, and Mala Xiang Guo – especially from Ri Ri Hong. 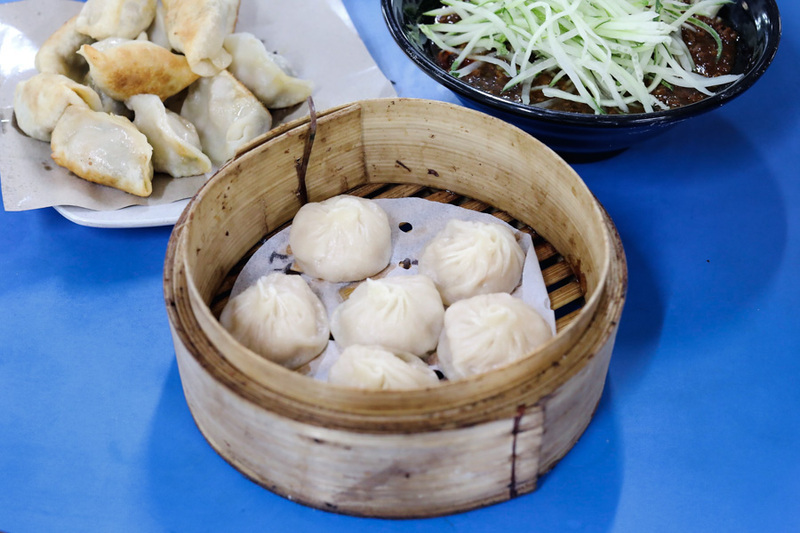 Looking for relatively-good and affordable Chinese food? 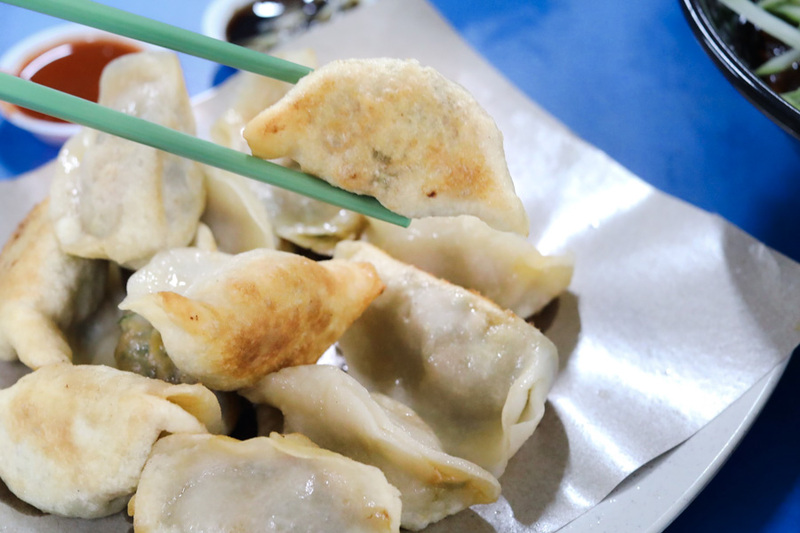 Hong Peng La Mian Xiao Long Bao 洪鹏拉面小笼包 has them. 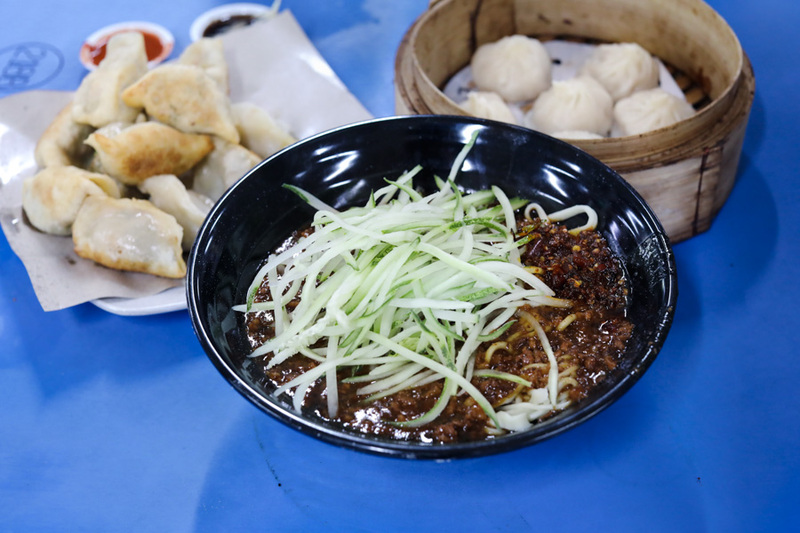 It is known for its Chinese La Mian (hand-pulled noodles) and Xiao Long Bao (soup-filled dumplings). 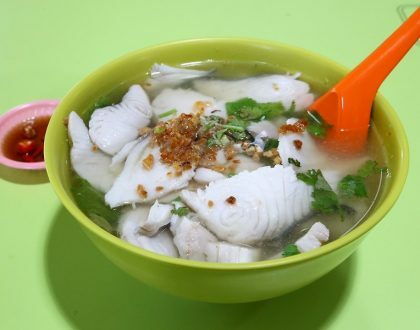 However, there are loads of other items sold from Shredded Chicken Congee ($3.50), Pig’s Organ Soup ($3.50), Sliced Fish Bee Hoon ($4.00), Mee Hoon Kway Soup ($4.00), Chicken Cutlet Noodle ($3.50), Wanton Noodles ($3.50) and much more. Let’s just say these are items that are typically sold by say 10 different stalls, but you can find them all here. Not sure if it is a case of Jack of all trades. 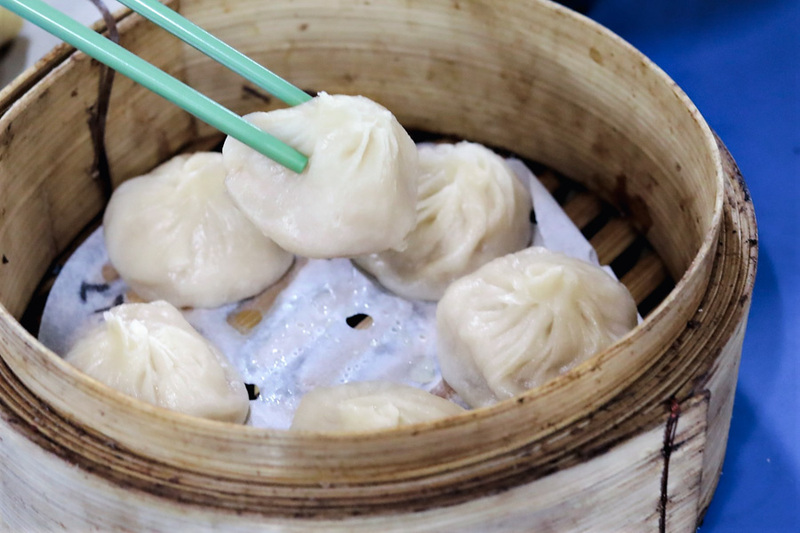 The handmade Shanghai Xiao Long Bao ($4 for 6 pieces), filled with minced pork and chives, were chewy and juicy. The skin was not too thick, so you won’t feel too stuffed after a few pieces. 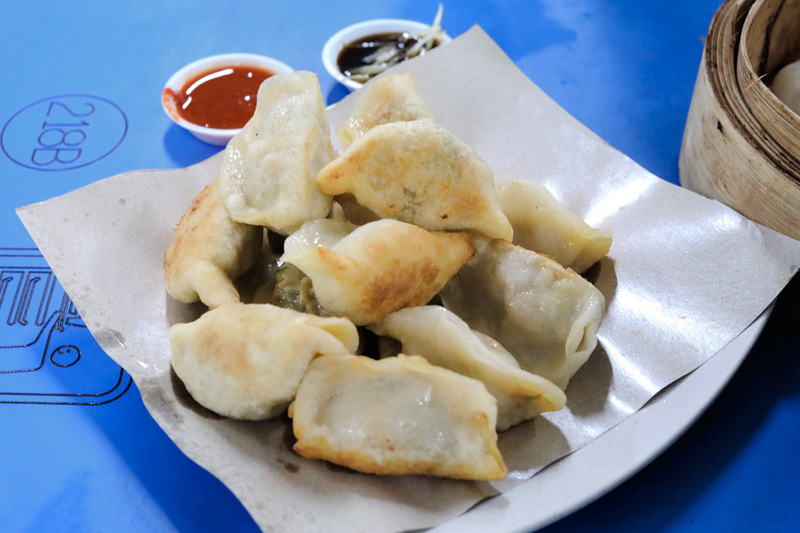 Freshly made on the spot and steamed, they were served with accompanying condiments chopped chili and ginger strips soaked in black vinegar. 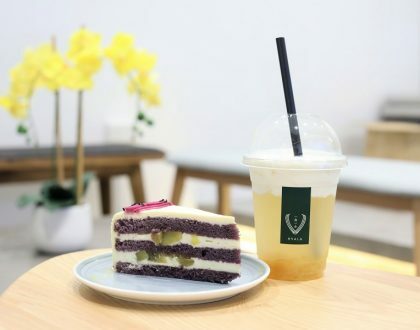 I won’t say they are the best around in Singapore, and perhaps lacked of the fine-delicate touches, but probably above the average with their juicy fillings. The Shan Dong Guo Tie ($5, $8, $10) turned out to be quite a pleasant surprise, with slightly moist fillings of pork and chives, flavourful with moderately thin skin. 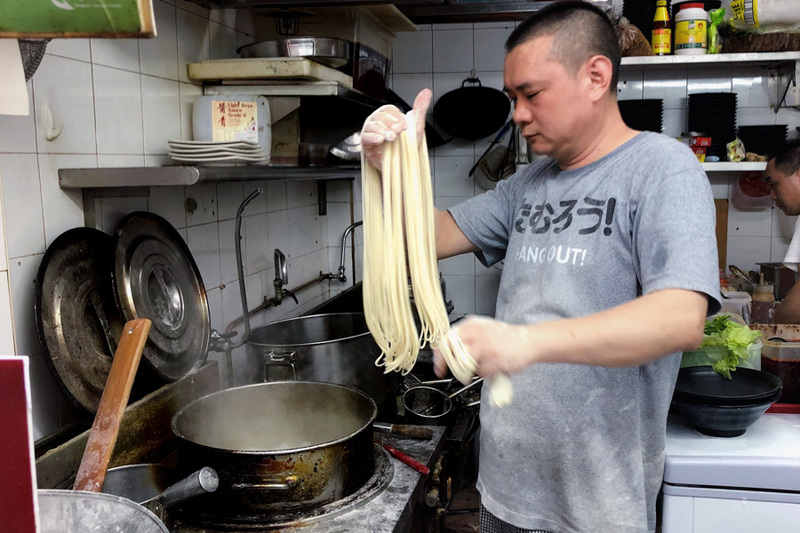 As for the La Mian, you can try choices such as their flavoured Beef Shank Noodles ($4), Chicken Cutlet Noodles ($3.50), Spicy Shredded Chicken ($3.50), and Sweet and Sour Soup Noodles ($3.50). 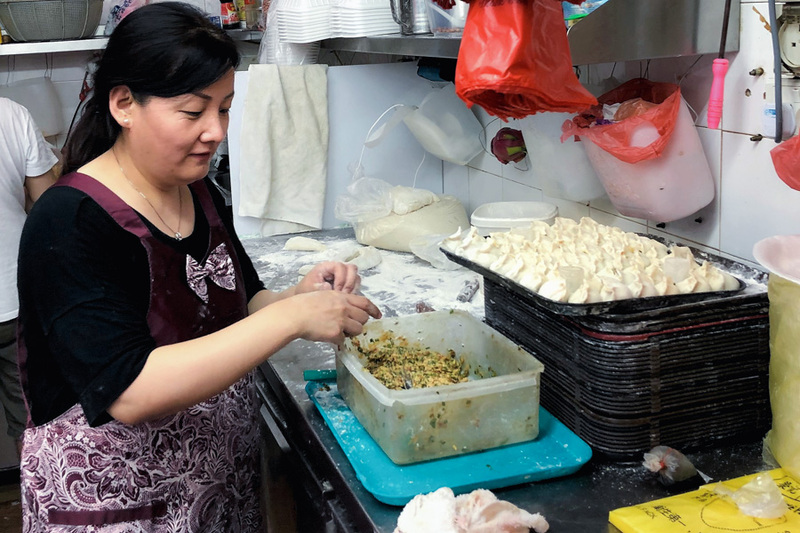 The plus point is noodles are hand-pulled on the spot, and the hawker was quite skillful at ‘reducing’ the flour dough into thin, long strands. 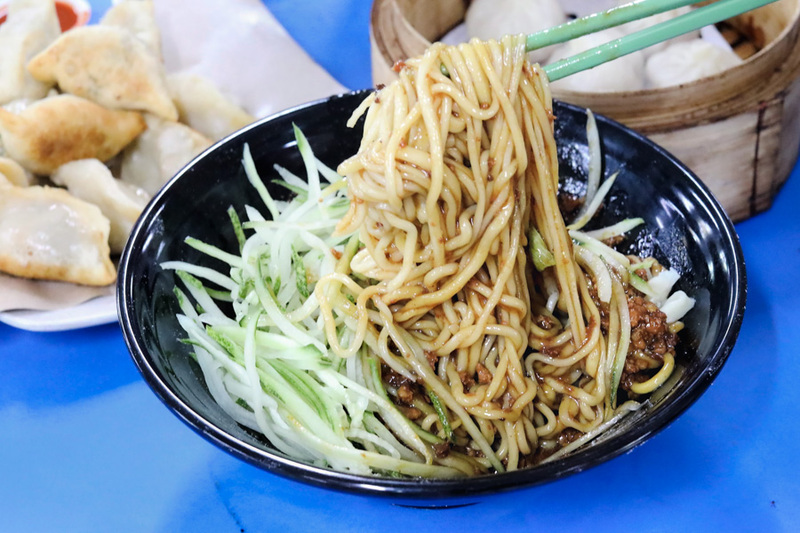 I ordered the Zha Jiang Mian Noodles with Bean Paste ($3.50) which was a MASSIVE portion for its price. Perhaps 2 or more people can share one bowl. 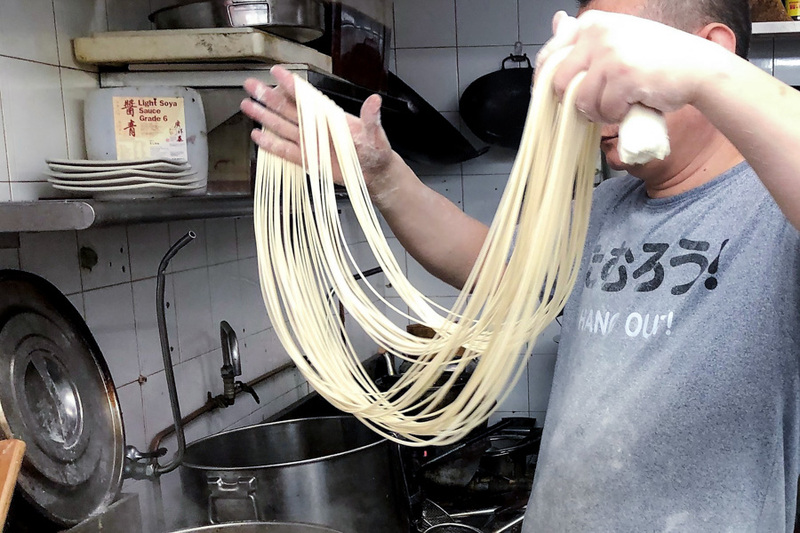 The sauce was thick and fragrant, noodles smooth and not too thick. 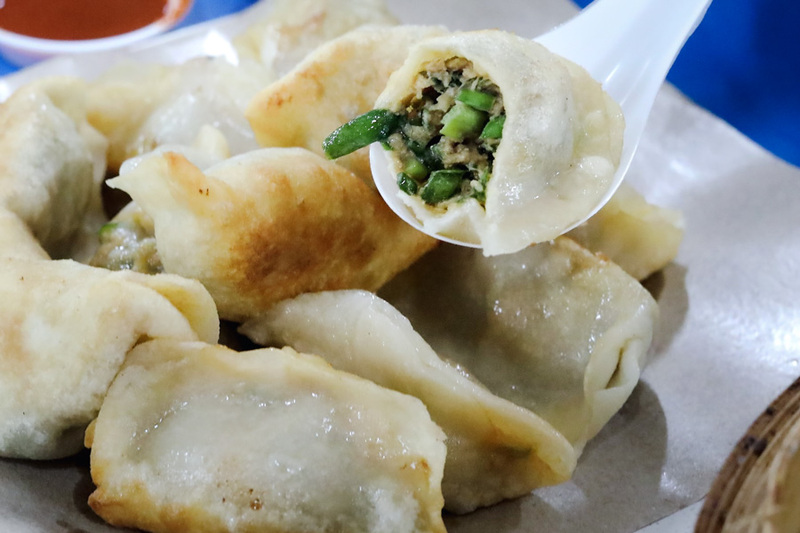 Hong Peng La Mian Xiao Long Bao may not serve the best of these dishes, but certainly hits the spot with its generous servings at good pricing.